Eucalyptus (Eucalyptus spp. ): growing, planting, caring. A rapidly-growing tree with a wonderful blue-green foliage. Scientific name : Eucalyptus spp. Eucalyptus is a genus of flowering trees and shrubs in the myrtle family, Myrtaceae. It includes Eucalyptus regnans, the tallest known flowering plant on Earth, but there are more than 700 species of eucalyptus, cultivated widely in the tropical and temperate world - some hardier than others, some smaller than others. Eucalyptus are shrubs or trees with fragrant leaves, first round then lanceolate, gray green, silvery or bluish. The smooth bark peels with age. 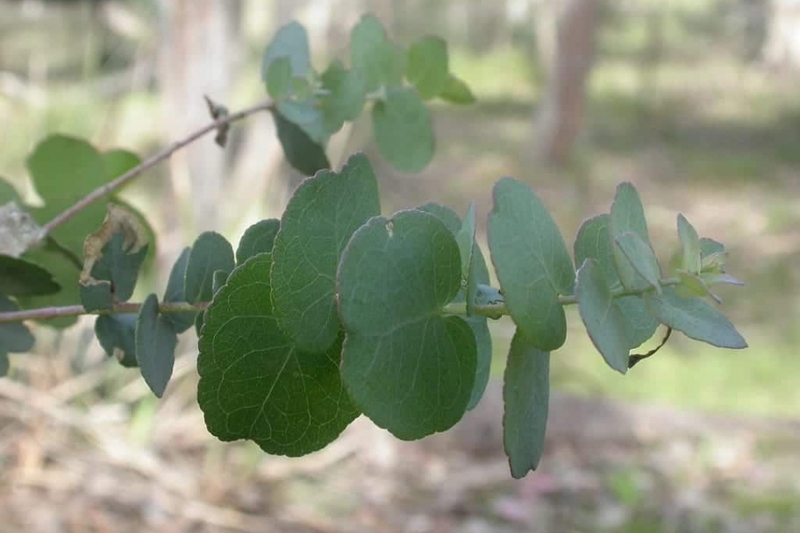 Plant between October and March in non-calcareous soil for the most of eucalyptus species. If your eucalyptus may freeze in your area, plant it in a very large pot. Mix some loam, compost and sand to promote drainage. In open soil, plant in drained soil, fertile poor in limestone, in full sun. Make a hole 30 cm larger than the root ball, trim the branches to balance the volume of branching and the root volume. Plant without burying the root collar of your eucalyptus, place a stake facing the prevailing winds, form a hollow and fill it with two watering cans of non-calcareous water. In March, if you want to limit the volume of your eucalyptus, you can either prune the branches harmoniously or cut it at ground level. It will provide a more compact shape. Two years or three years after planting, remove the stake. The first year, in very draining ground, water your eucalyptus once every two weeks. In pots, water every week in summer. If you notice foliage damage, such as small yellow spots, the only way to limit the growth of the parasite responsible is to cut the affected twig and burn it. Your eucalyptus stamps in front of the window since the end of the freezes? Put it outside, in full sun! Protect your eucalyptus in pot, by bringing it inside before the cold weather.